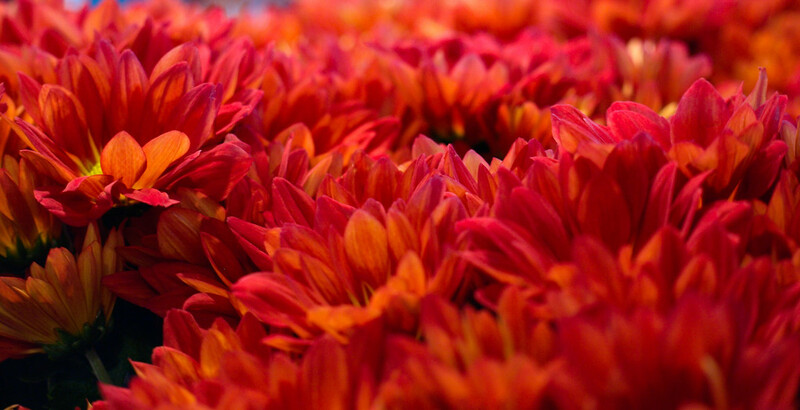 Took this at Urban Fresh when we had a group of wonderful red mums all lined up. We have this one blown up in our place at about 6-feet wide. Just adds a burst of red to any room.